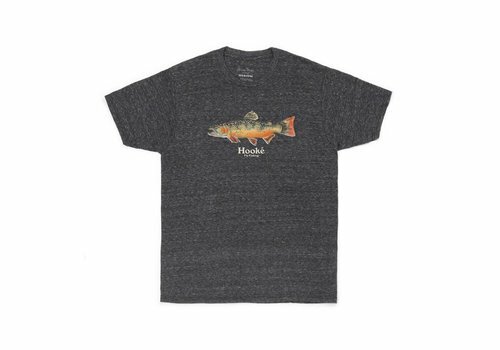 In collaboration with artist Fabio Mrad, the Trucha de Arroyo T-Shirt is decorated with a brook trout print on the front. 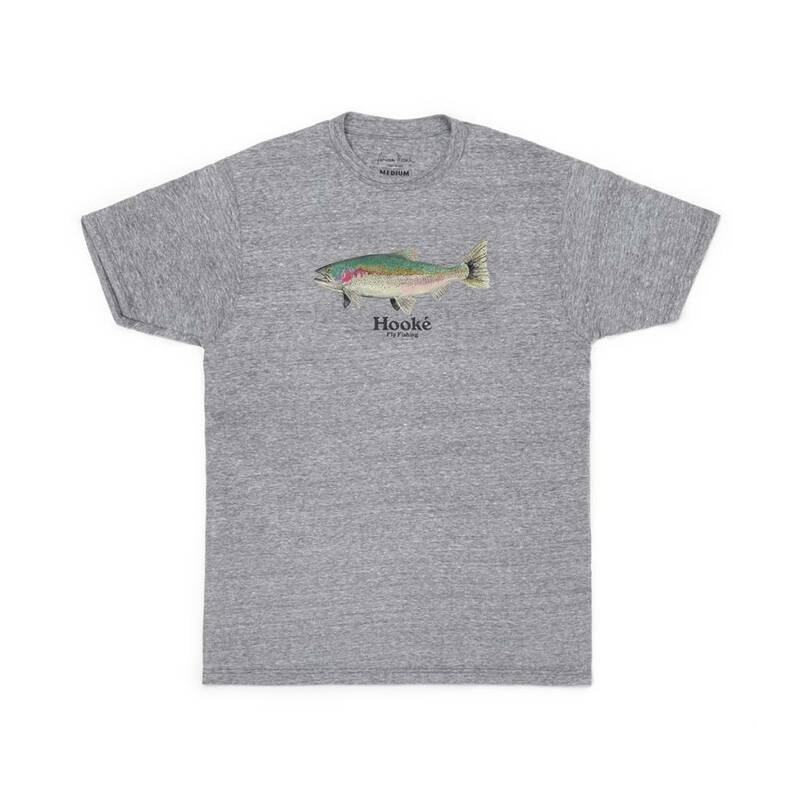 This T-Shirt will provide comfort for your next fishing trip! 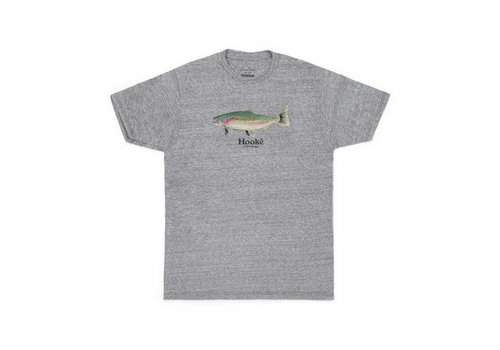 In collaboration with artist Fabio Mrad, the Strobel Rainbow T-Shirt is decorated with a rainbow trout print on the front. 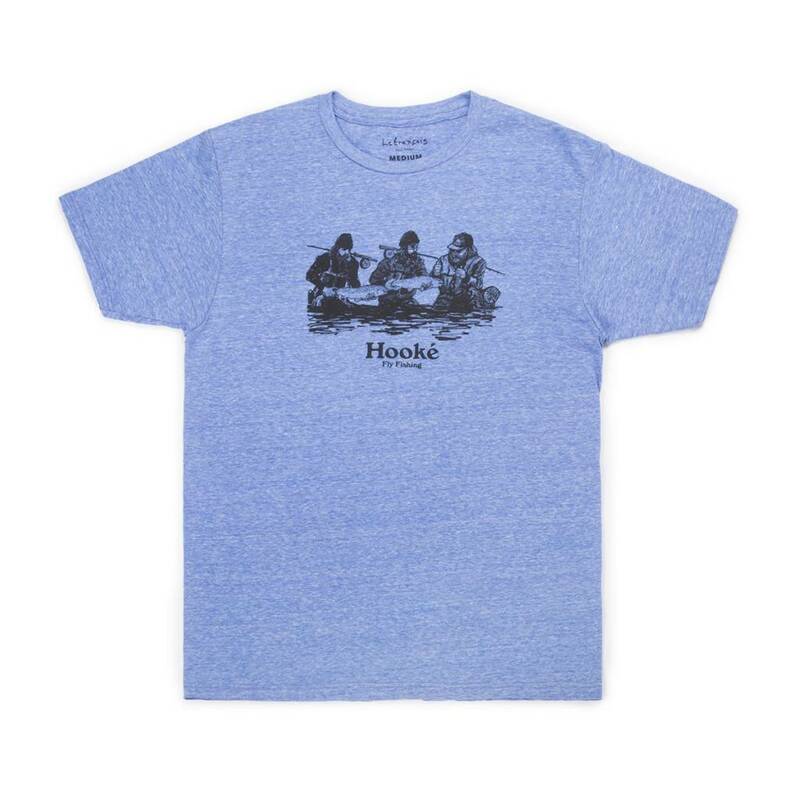 This T-Shirt will provide comfort for your next fishing trip! 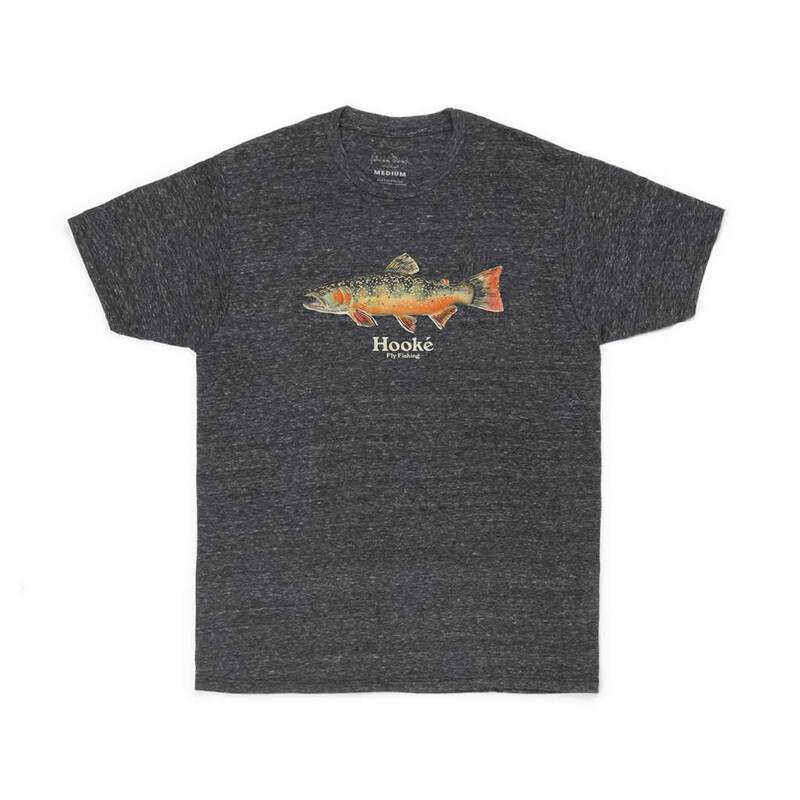 In collaboration with artist Fabio Mrad, the Salmo Trutta T-Shirt is decorated with a brown trout print on the front. 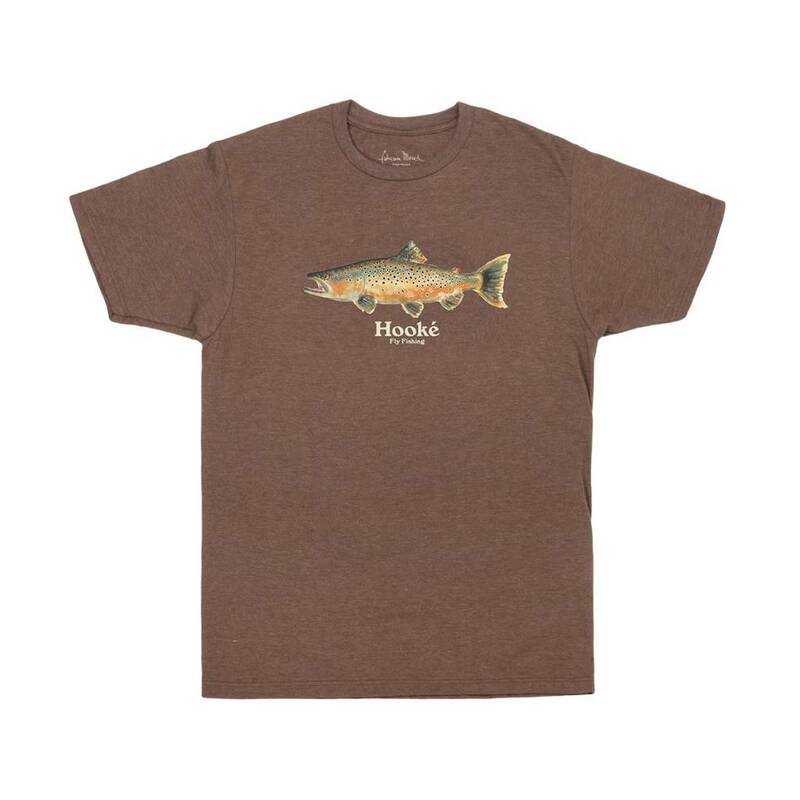 This T-Shirt will provide comfort for your next fishing trip! 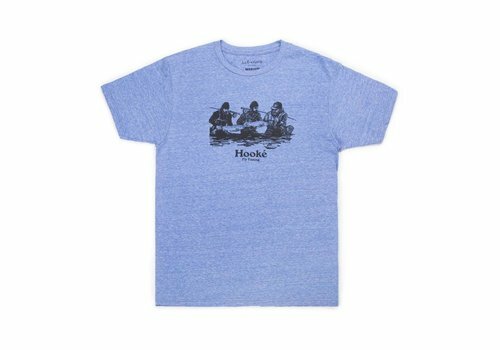 In collaboration with artist Roch Lefrançois, the Double Header T-Shirt with the front print is the perfect choice for a day spent fishing. 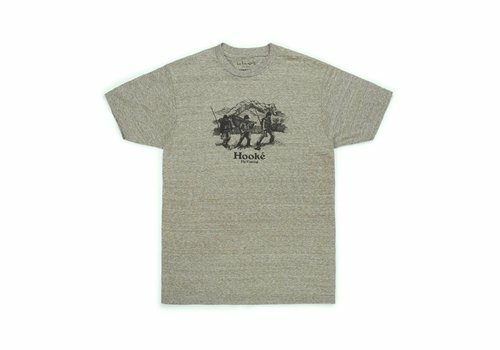 With an illustration made by collaborating artist Roch Lefrançois printed on the front, the Big Mountain T-Shirt will accompany you in all of your adventures. 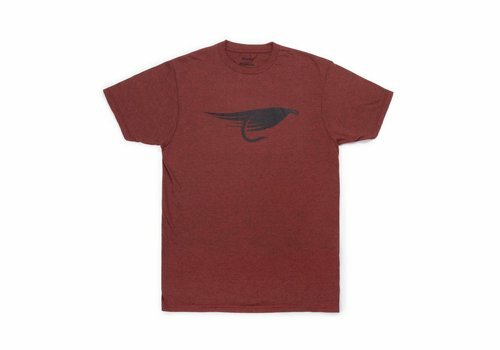 The Season's Flies T-Shirt proudly sports our fly selection for the season! 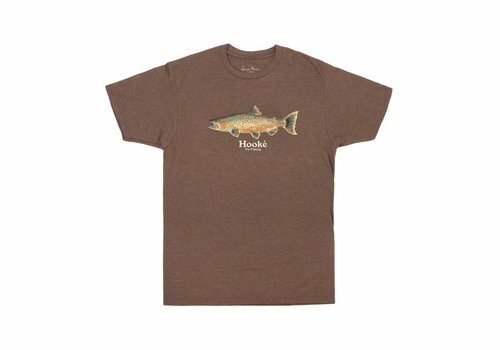 This T-Shirt is ideal for every nice sunny day of fishing. The Train-Station T-Shirt has a Hooké print on the front and the Train Station illustration by collaborating artist Roch Lefrançois on the back. 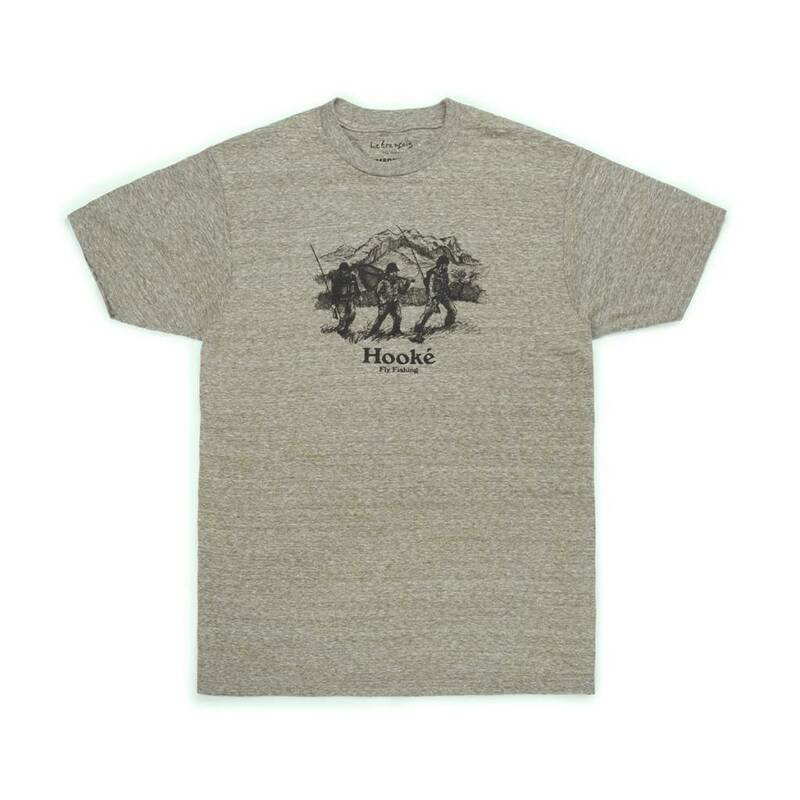 This T-Shirt is the ideal compagnon for any adventure! 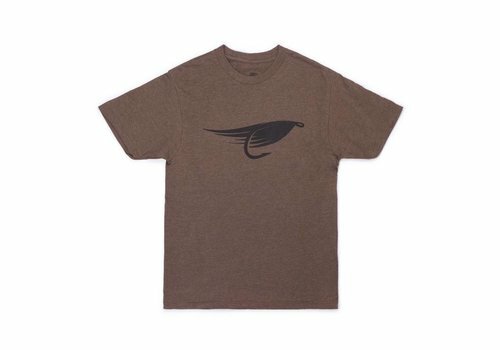 The Windsor T-shirt is the ideal piece of clothing for a hot day by the river or for some comfortable fly-tying. 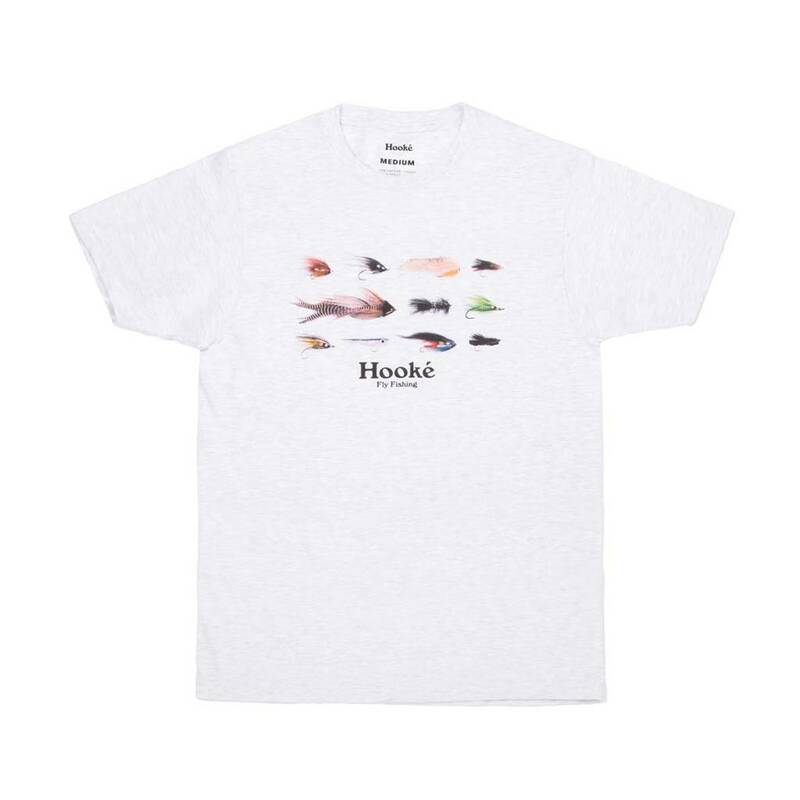 On the front is the Hooké print. Available in Cream. 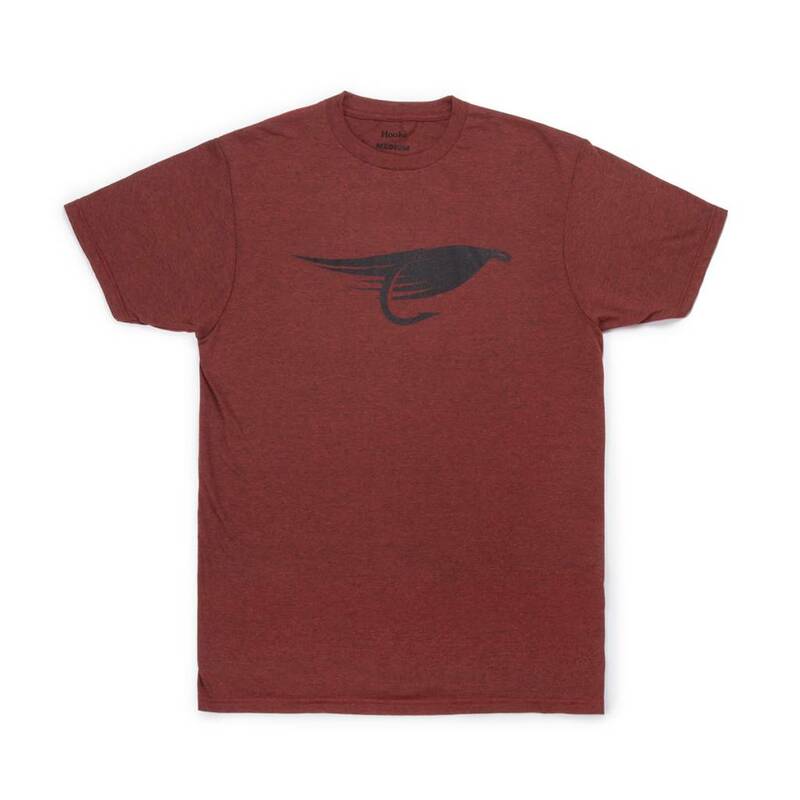 The Windsor T-shirt is the ideal piece of clothing for a hot day by the river or for some comfortable fly-tying. 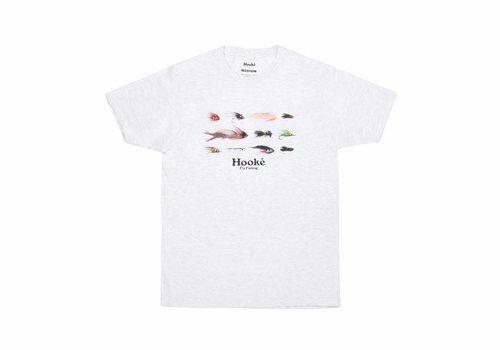 On the front is the Hooké print. 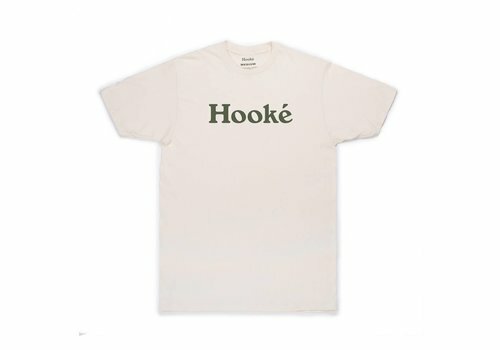 Available in Sage Black Heather. 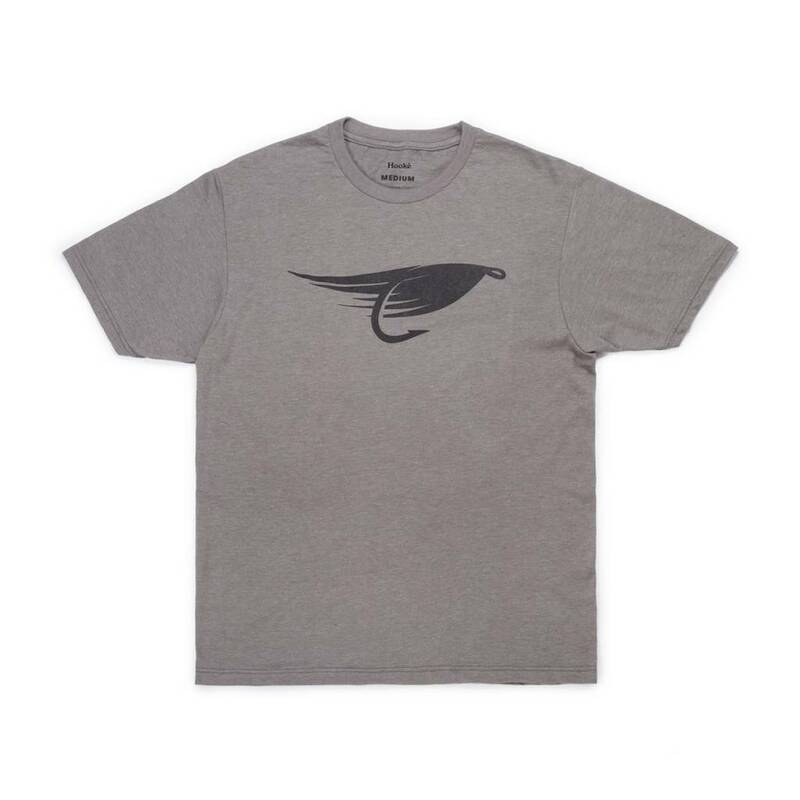 The Fly T-Shirt, with the Hooké fly logo will accompany you for your hot days of fishing, as well as your afternoons spent fly-tying inside. 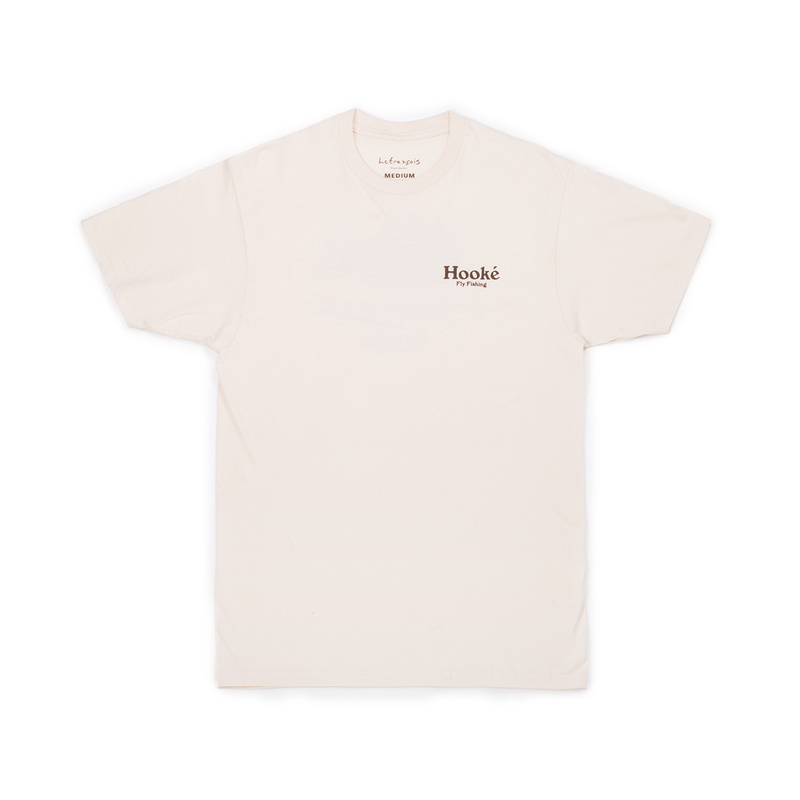 Also available in Platinum Heather. 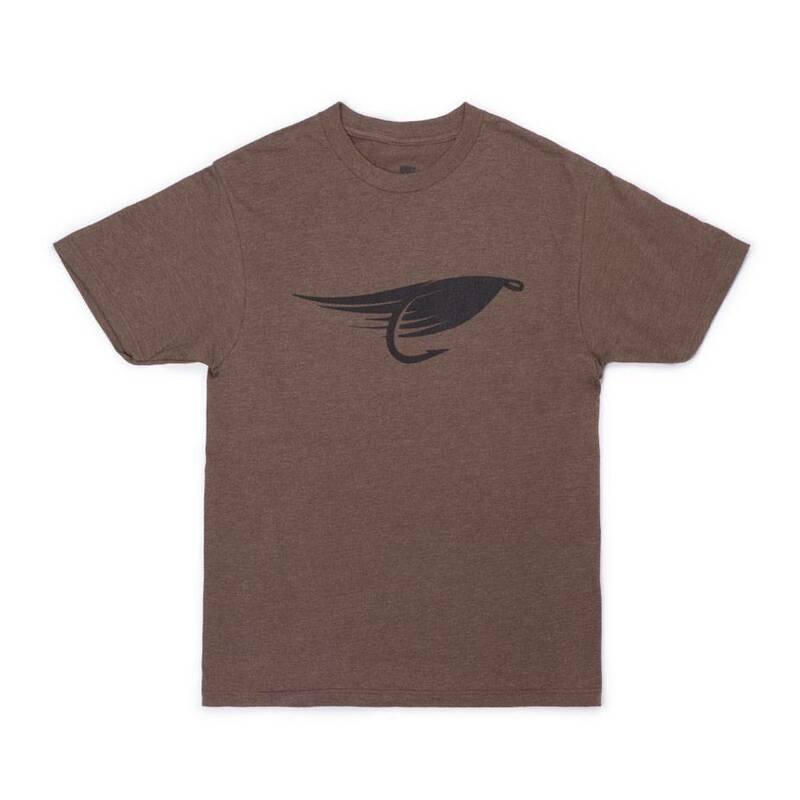 The Fly T-Shirt, with the Hooké fly logo will accompany you for your hot days of fishing, as well as your afternoons spent fly-tying inside. Also available in Brick Black Heather. 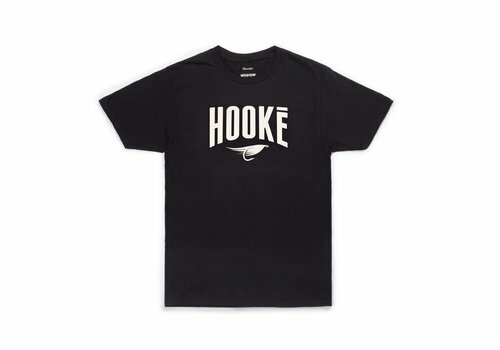 T-shirt with the iconic fly Hooké logo. 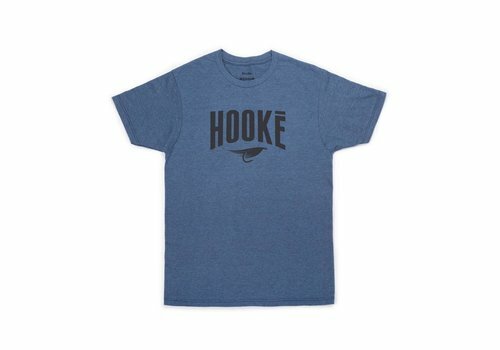 Comfortable to wear for every occasion. 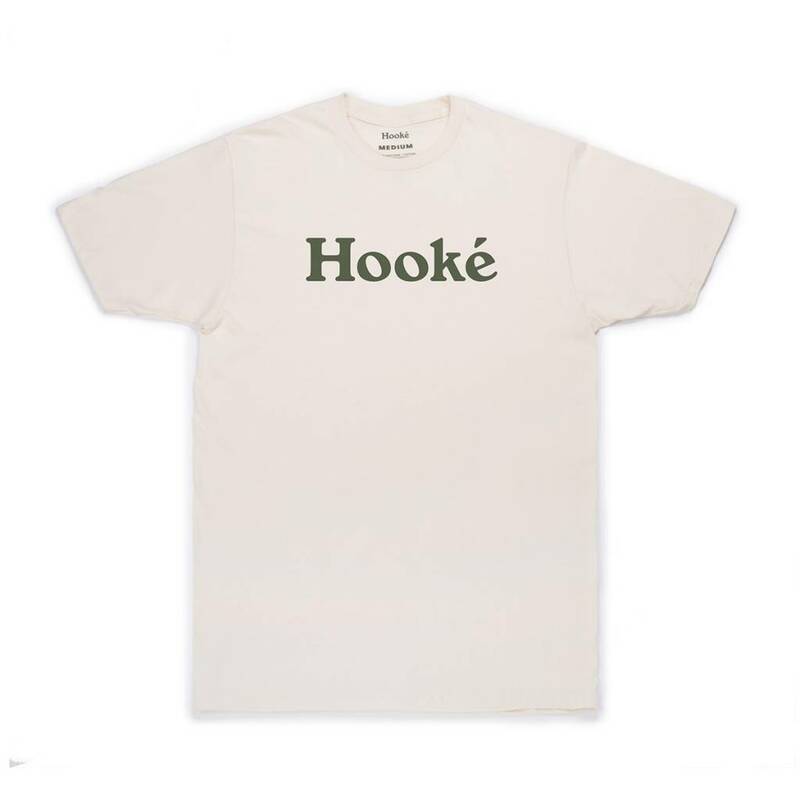 The unmistakable Original T-Shirt is back with the unique Hooké logo printed on the front. 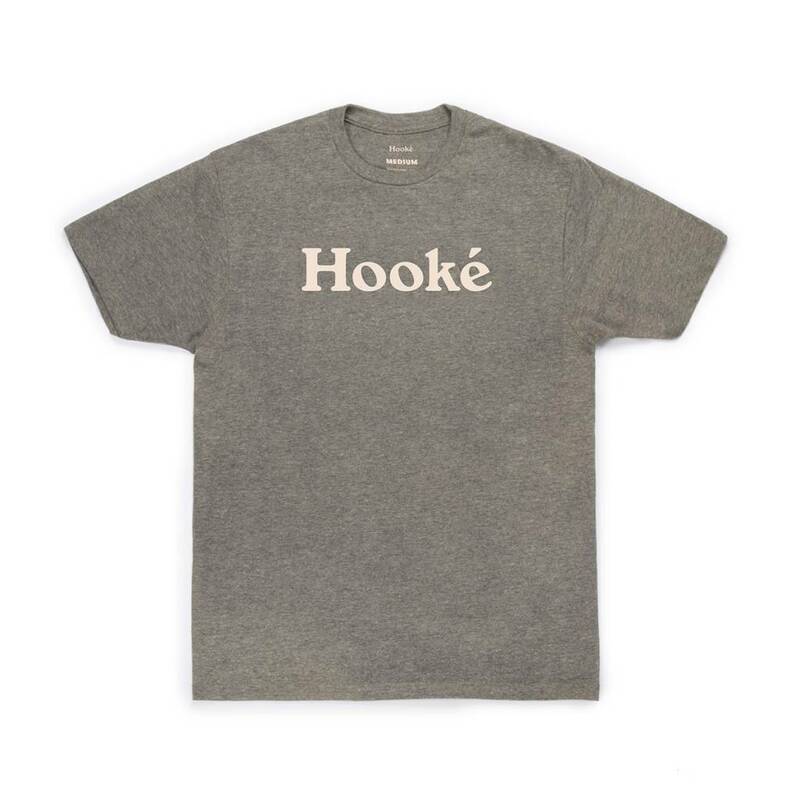 Perfect for every occasion, it is also available in Black. 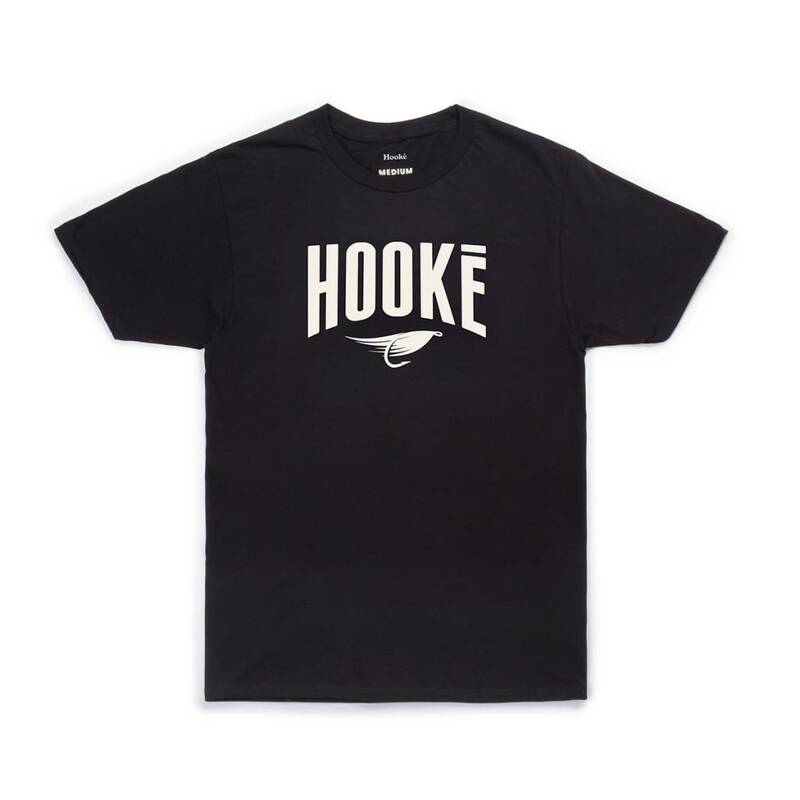 The unmistakable Original T-Shirt is back with the unique Hooké logo printed on the front. Perfect for every occasion, it is also available in Indigo Black Heather.